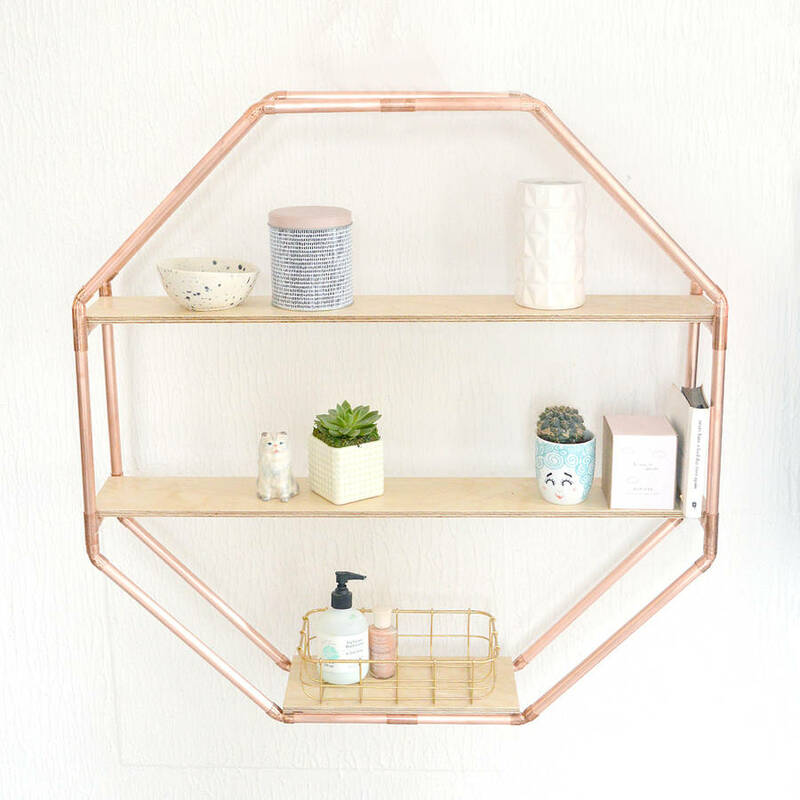 An amazing statement piece. 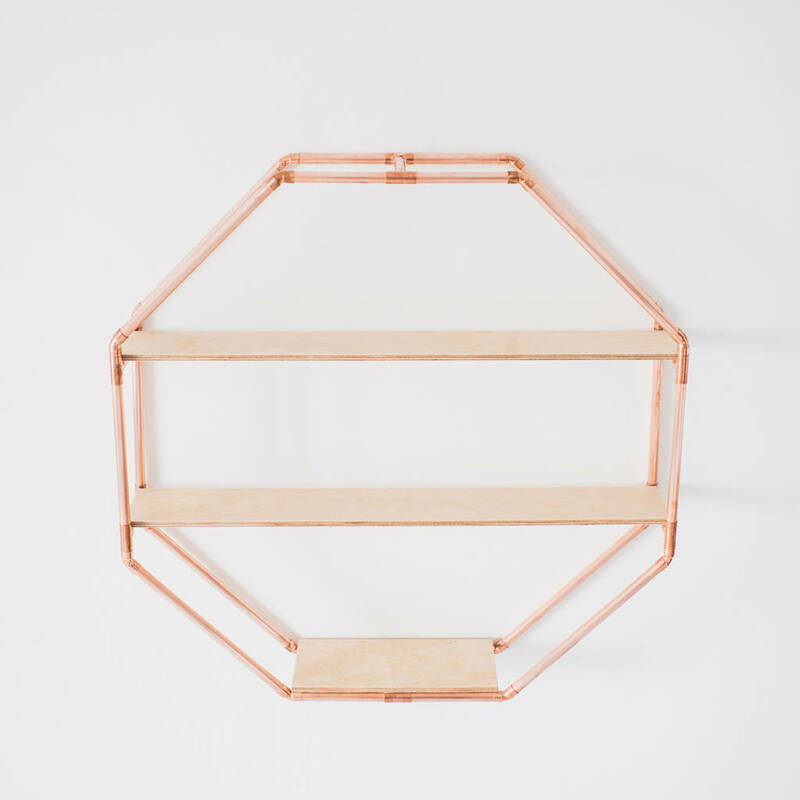 Varnished Birch Plywood shelves with copper frame. Fix to your wall or stand on a table. 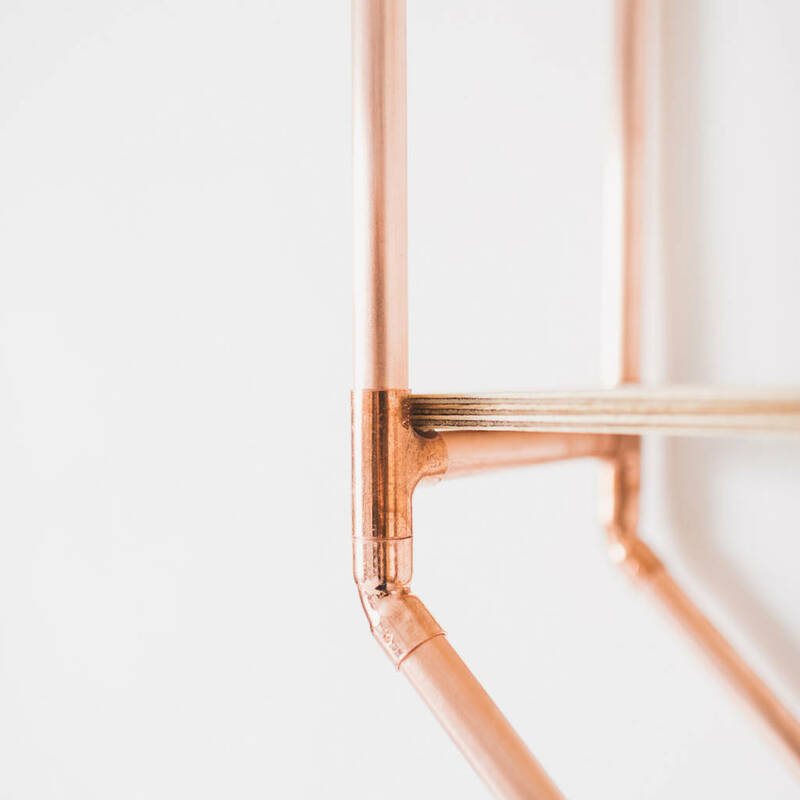 Our Copper pieces are special because the copper is treated with a lacquer. 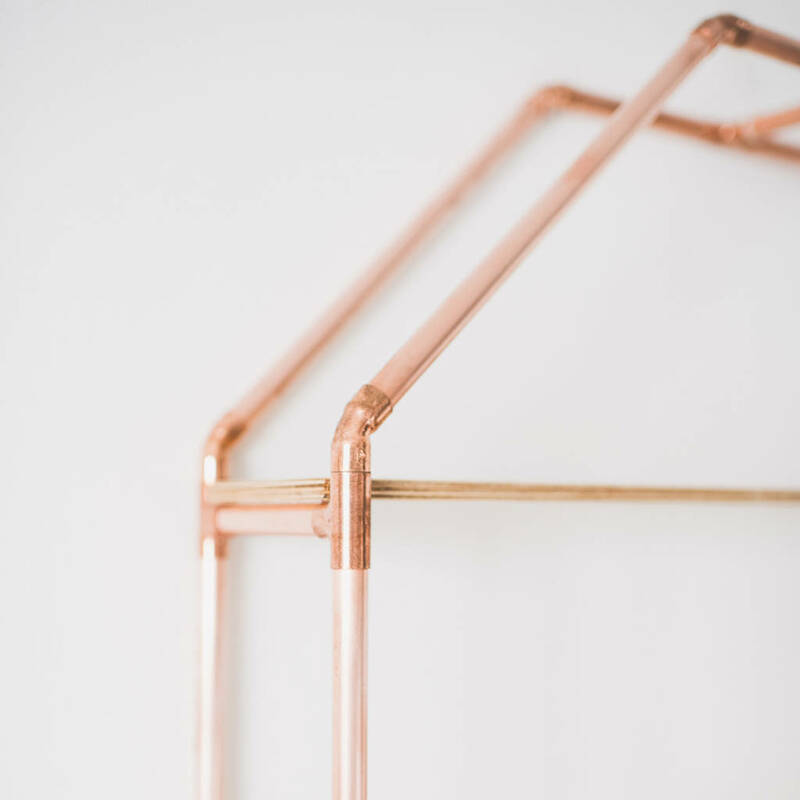 Copper naturally loses its shine and colour over time however all our copper products are treated with a coating to ensure they keep their rose gold colour and shine over time. This makes our designs unique and extra luxurious. 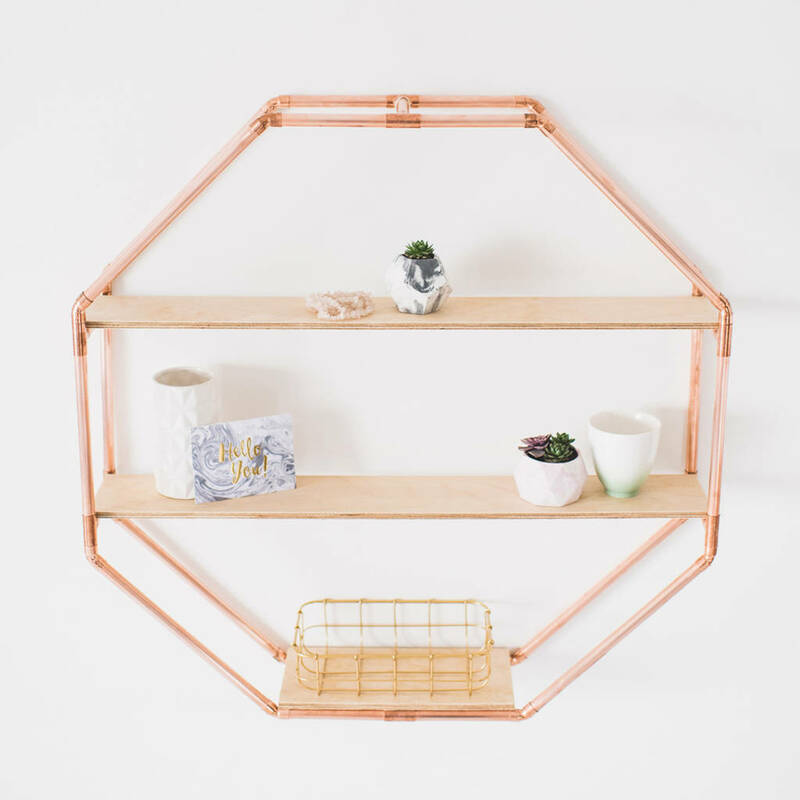 We are experts within copper construction.Use the shelf space to display books, plants, ornaments, photos or anything you desire. 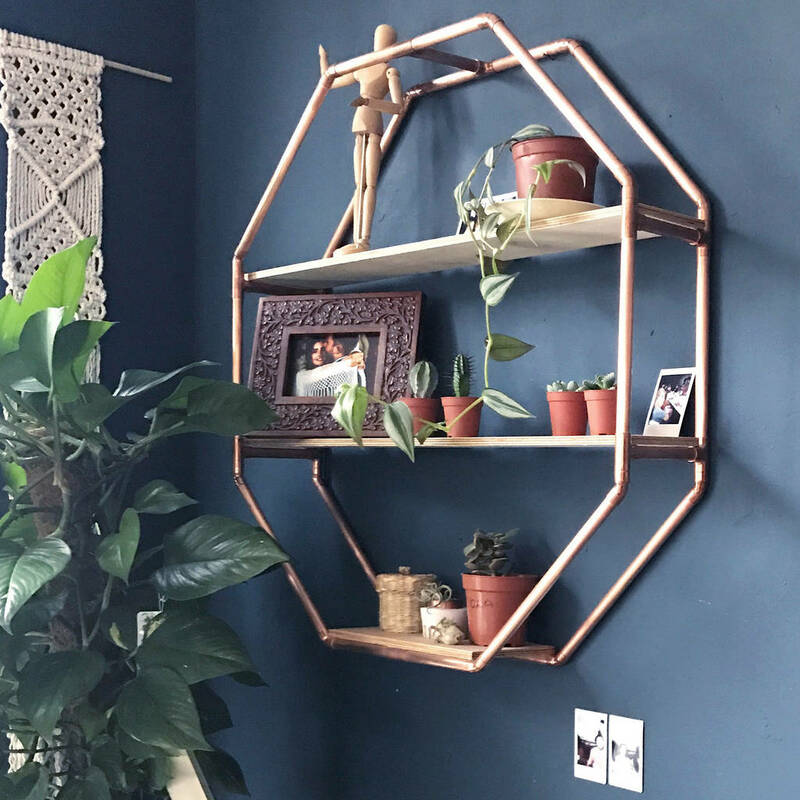 Comes with 4 copper brackets to fix to your wall if you desire. This product is dispatched to you by Little Deer.